29 April 2017 | Written by Mohammad Al-Asad	. Published in Heritage Properties. Read 2531 times. A new wing was added to the building in 1901. This contained two large, well-lit classrooms, a hot air furnace, and electric lights. By the time Old Ottawa South was annexed to the City of Ottawa in 1907, the school had about 175 students. It had been known under various names including Nepean School Section No. 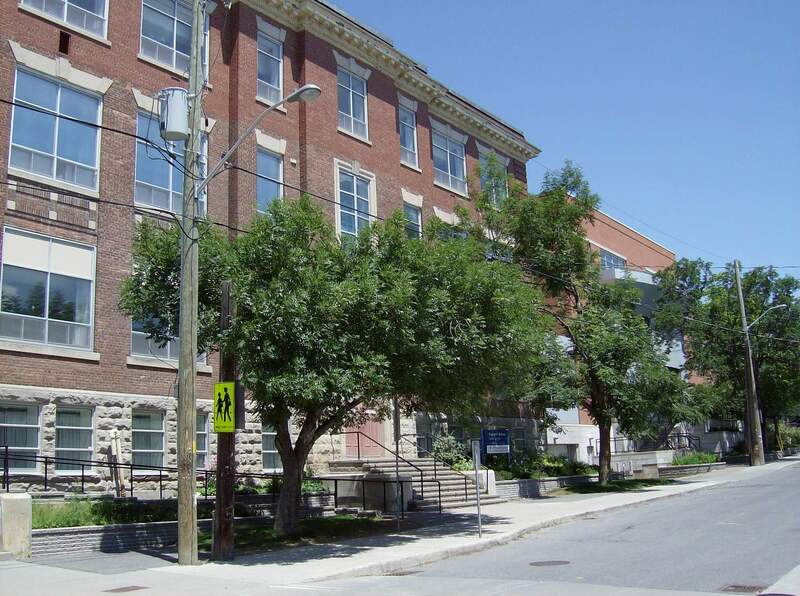 1 (S.S.#1), Rideauville School, Bank Street School, and Ottawa South Public School. 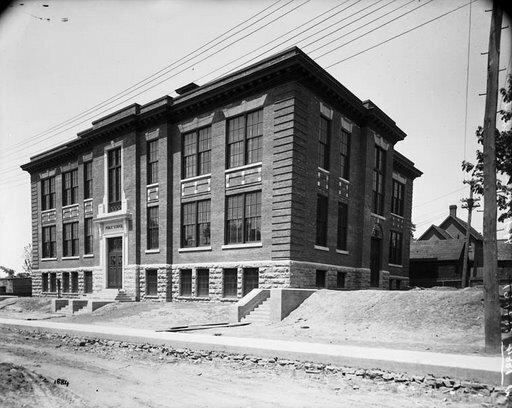 In 1909, the Ottawa Board of Education announced its intention to construct a new school building as the existing one was considered “unsatisfactory and unsanitary.” Plans consequently were prepared by William B. Garvock, an architect and Superintendent of Buildings for the Ottawa Board of Education, who designed a number of the city’s early-twentieth-century school buildings according to new principles of school building design that had become increasingly common during the early-twentieth century. 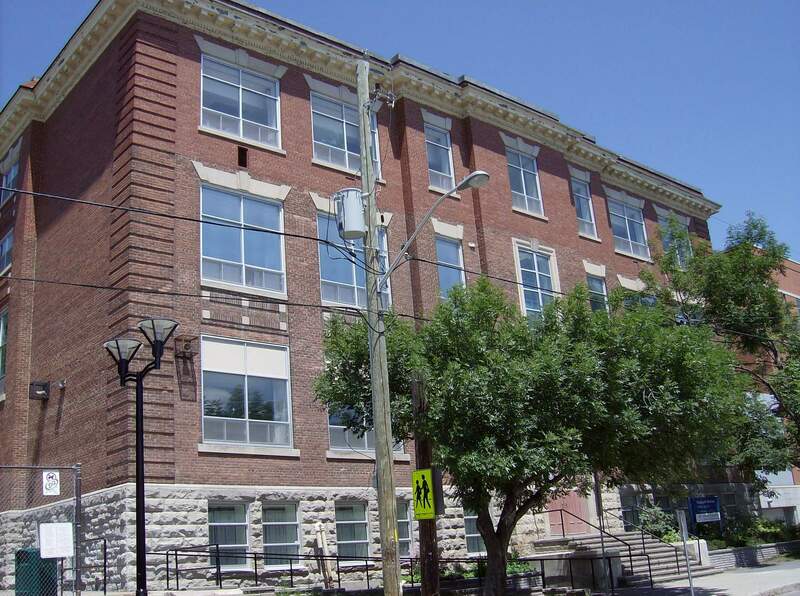 The new eight-room brick school building, which was constructed during the following year, cost the then considerable sum of $55,000 and consisted of a basement level and two storeys. It had standard sized classrooms intended to accommodate a maximum of forty students (although the rooms usually ended up accommodating more than that). In contrast to previous practices, emphasis was placed on dividing students into successive grades while the division of classes according to gender was no longer given priority. Classes were arranged so that natural light would come from the left side of the room, and specific window to floor area ratios were applied to admit adequate quantities of light. The classrooms incorporated mechanical heating and ventilation systems, and fireplaces functioned as an air exhaust system to remove foul air. The school also included a nurse room and an auditorium. The exterior design also expressed these new school design trends. It was intended to give a professional and business-like image, and therefore followed a rather regular, simple arrangement incorporating a repetitive use of openings. Stone was used for the base of the building, and façade decoration was limited to patterned brickwork. The simple Beaux Arts inspired design contrasts with the more extensively decorated late-Victorian school buildings that had been common only a few years earlier. 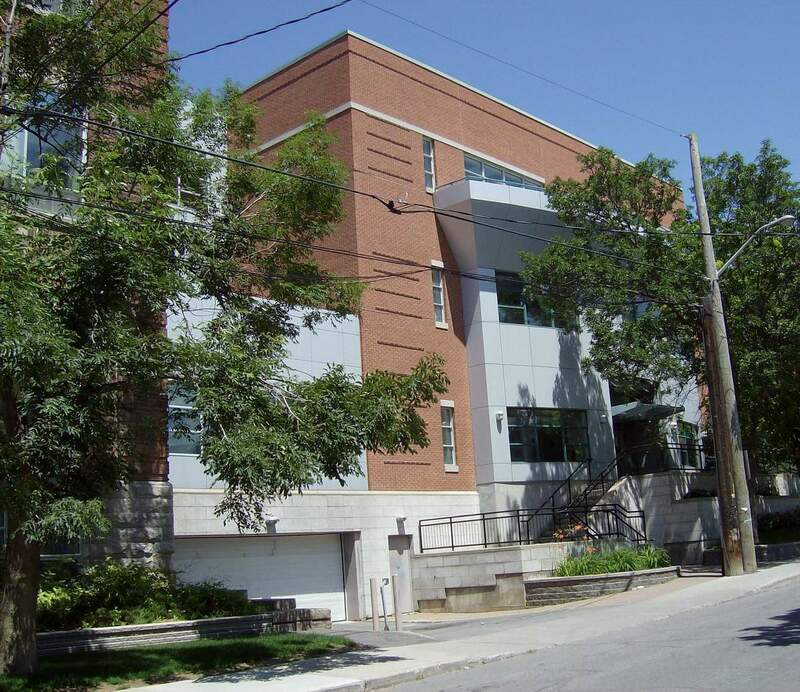 The Crichton Street Public School (1906, with an addition in 1919), also designed by Garvock, is another school building in Ottawa that expresses these new trends in school building design. By 1911, 360 students were attending the school, which included classes ranging from the kindergarten to secondary school levels. 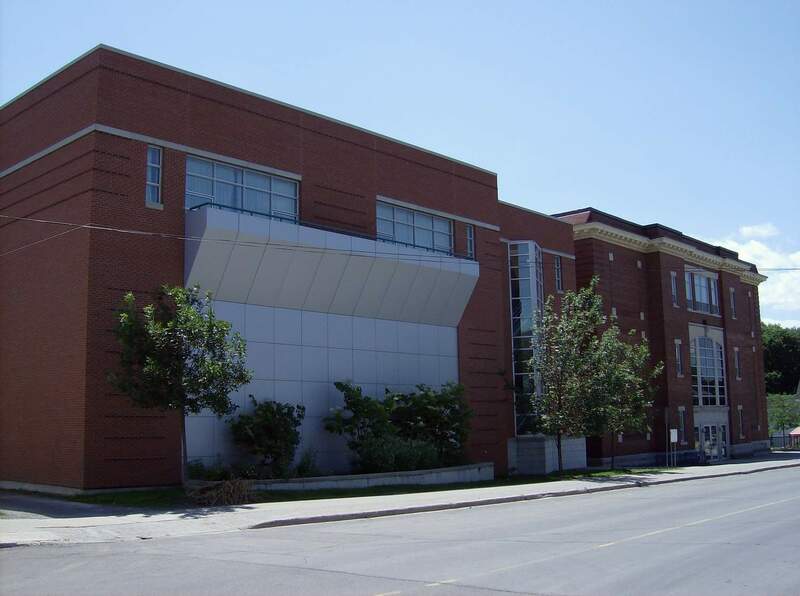 The old school building was maintained to accommodate the rising number of students that resulted from the growth of Old Ottawa South. This growth was connected to the construction of the high-capacity reinforced-concrete Bank Street Bridge, which connected Old Ottawa South with the rest of the city to the north. An expansion of this new school soon followed. Properties located between Hopewell and Glenn avenues were purchased to accommodate playground areas. Other properties located along Sunnyside Avenue also were purchased. The houses situated on the purchased properties along Sunnyside were torn down to make way for the new expansion. The expansion, which extended the existing building to the north, was carried out in 1915. It included 12 rooms in addition to manual training and domestic sciences rooms in the basement. The Carnegie Public Library was granted use of one of the classrooms to establish one of Ottawa’s first branch libraries. The Boys Scouts of Ottawa also were granted use of the basement, and the Girl Guides were granted such use later on. The old school building was demolished by the time the new building was in use. In 1931, a gymnasium / assembly hall as well as a manual training room were added to the building. The addition was located along the northern part of the building and extended it along the east, thus creating an L-shaped composition. A third storey extension containing an additional eleven classrooms was also constructed. Following these expansions, the school contained 29 classrooms accommodating 1289 students. 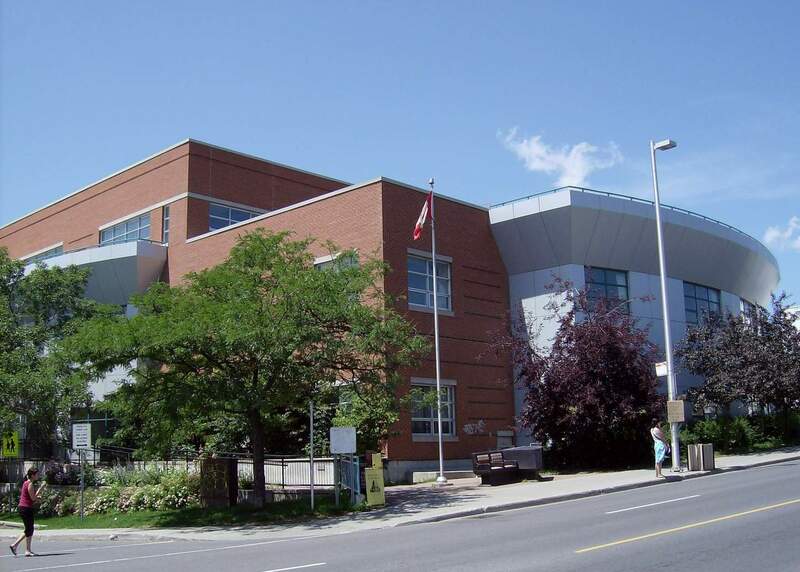 In 1944, the Ottawa South Community Association initiated a community center at the school that carried out programs serving hundreds of children, youth, and adults. In 1950, a celebration was carried out marking the 40th birthday of the school. The school underwent difficult times during the 1970s, and enrollment during the 1979 – 1980 school year dropped to 399 students, which was not much more than the number of students the school had accommodated when it opened in 1911. The community, however, rallied and initiated changes that resulted in a turnabout. The school underwent a major expansion and refurbishment in 1996 – 1997. As a result of the expansion, the pre-existing extension with a gymnasium / assembly hall was torn down and replaced by a new extension that includes two gymnasia, one of which also incorporates a stage, and a music room. The extension occupies a mass that approximates the preexisting school building in size, and fills up the area bound by the old school from the west, Sunnyside Avenue from the north, Hopewell Avenue from the South, and Bank Street from the East. In terms of architectural character, it projects a modernist image and is intended to contrast with the older building. It is sheathed with a relatively light-colored brick as well as aluminum building panels, and also incorporates projecting curved surfaces. The spaces where the old building and the new extension meet feature circulation areas that are open along three levels and are generously lit through skylights. Bouse, David. “The Evolution of Old Ottawa South,” 2000. Elliott, Bruce S. The City Beyond: A History of Nepean, Birthplace of Canada’s Capital 1792 – 1990. Nepean: City of Nepean, 1991, pp. 177 – 178. Hopewell Avenue Public School, 75th Anniversary Yearbook – 1984 / 85. Ottawa: Hopewell Parents and Teachers Organization and the Hopewell Avenue School Student Council, 1985. Hopewell Avenue Public School web site.